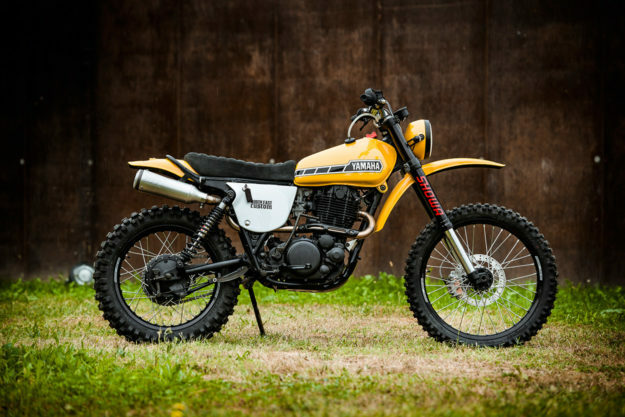 These days, most XT500s are immaculately restored trailer queens, or display decades of abuse. But they’re also prime candidates for tasteful resto-modding—like this very sharp machine from Italy’s North East Custom. 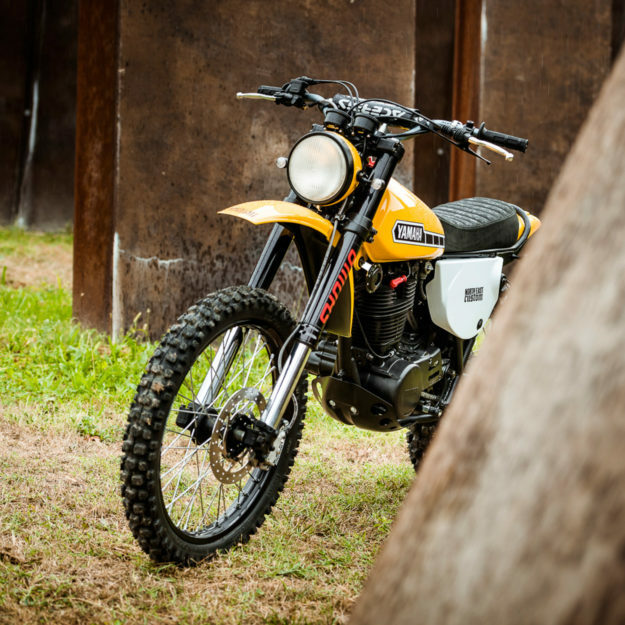 Diego and his brother Riccardo put their heads together and devised a plan: rebuild the XT500 as a contemporary version of itself. 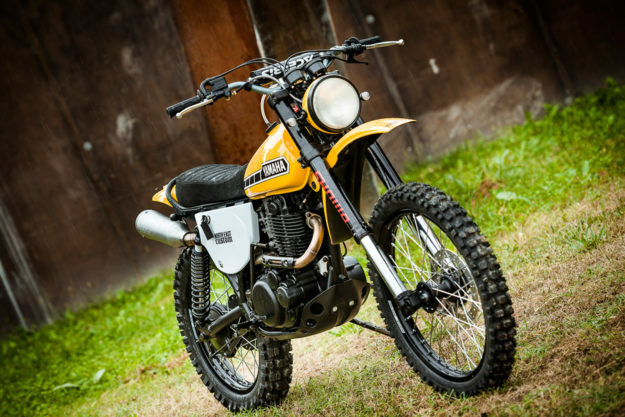 They’ve done it so well, we wish Yamaha would add a throwback XT to its official model line. Slaving away in their workshop in Padua, Italy, the brothers started by converting the electrical system from six to twelve volts, enabling them to run modern clocks and LED lighting. 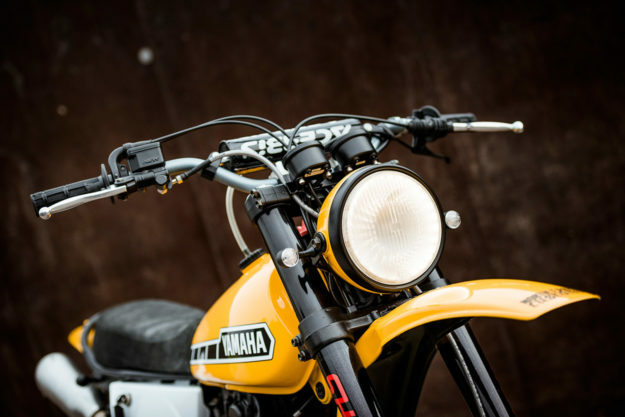 Then they grafted on the front end from a Honda CR—including its upside-down forks and disc brake setup. Longer shocks were installed out back, and the wheels rebuilt with wider rims. 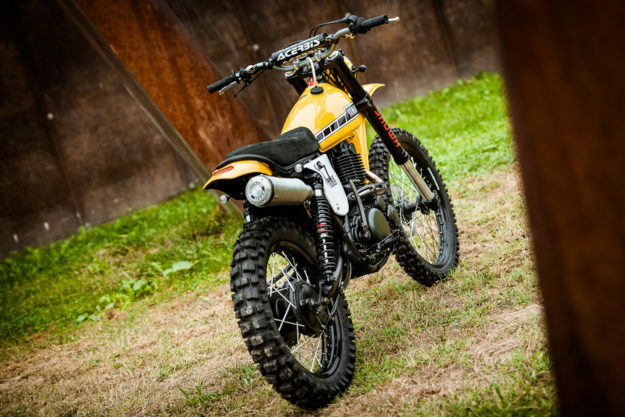 If the extra ground clearance doesn’t hint at the bike’s intended usage, then the knobby tires should drive the point home. The rear of the frame was shortened and re-looped. Up top is a custom-made leather seat—shorter and narrower than stock, but still generously padded. The muffler’s a SuperTrapp unit, and the original header has been modified to accept it. For the rear fender, the brothers took the original part, shortened it and modded it to hold a neatly embedded LED tail light. What caught us by surprise though, is that the rest of the bodywork is mostly stock. The front fender and side panels have gone untouched. And the tank’s simply been treated to two indentations up front, to accommodate the wider fork legs. 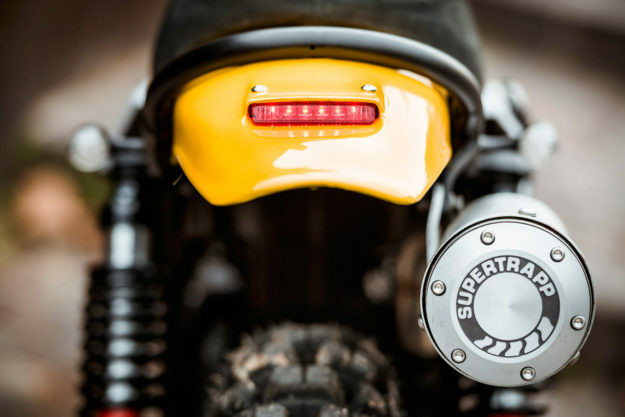 Airhead fans might recognize the headlight: It’s from a BMW R45, mounted on custom-made brackets, and updated with LED internals. A twin Daytona speedo and tacho setup rounds out the cockpit, along with MX bars, Domino grips and classic ‘pill box’ switchgear. 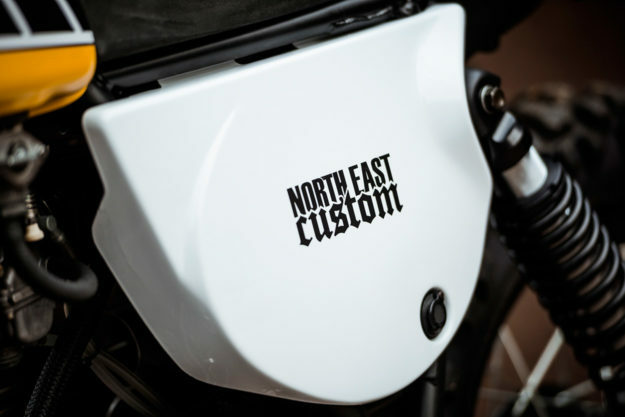 North East have also relocated the ignition to the side of the bike, cleaning things up further. 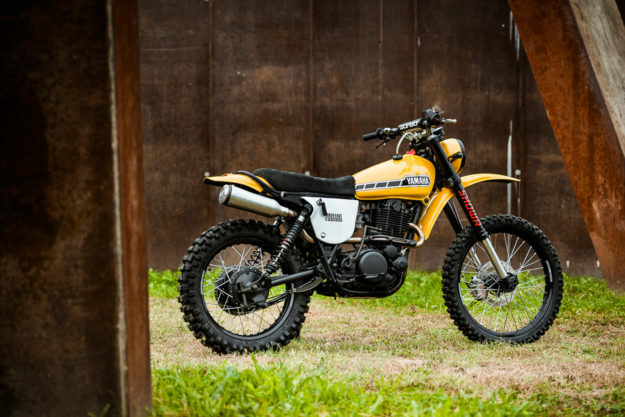 We’re suckers for traditional Yamaha yellow liveries, and this XT500 is as good as it gets. The level of finish is superb. 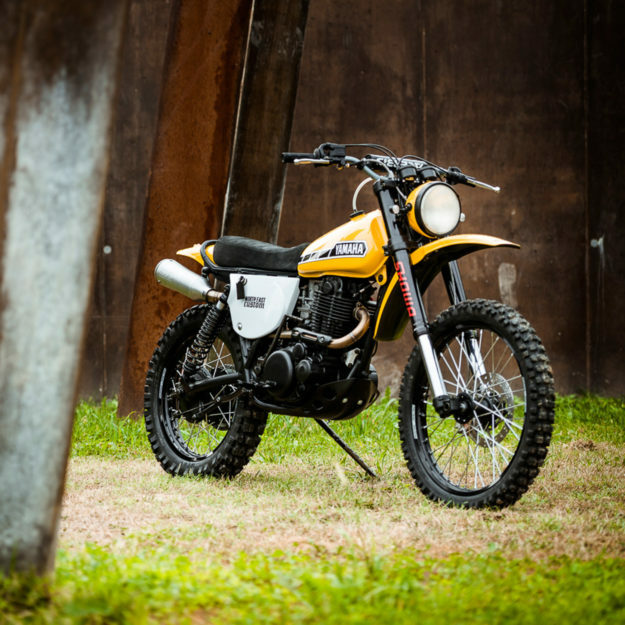 It’s a magnificent tribute for the owner to remember his father by, and a bike that would outrun most of the modern ‘scramblers’ filling showroom floors.